June 17, 2018 – …STILL CRAZY AFTER ALL THESE YEARS! I knew of this Indonesian nasi padang restaurant in Kuching a long long time ago located opposite the since-closed-down Cathay Cinema in the vicinity of Oriental Park where one can get to enjoy one of the best kolo mee in the city. By the mid-70’s, it was no longer there and its place was taken over by some kind of boutique owned one classy beautiful lady, always nicely dolled up and dressed to the nines. I saw on Facebook that this restaurant has re-opened some place else much to the delight of those who were around at the time and enjoyed what they served there. I certainly wouldn’t want to miss the chance to drop by and try should I happen to hop over to Kuching anytime soon. 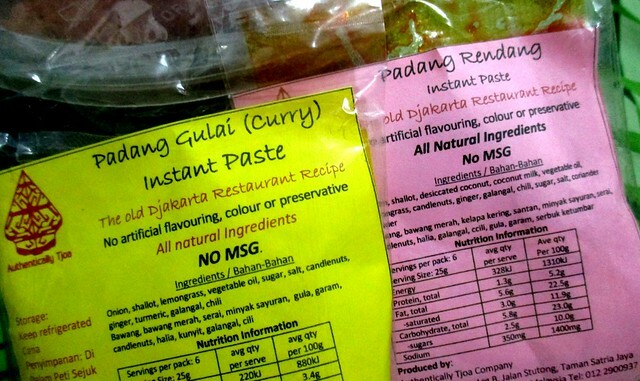 In the meantime, I have these pastes to cook my own and try but I have yet to get down to doing that. 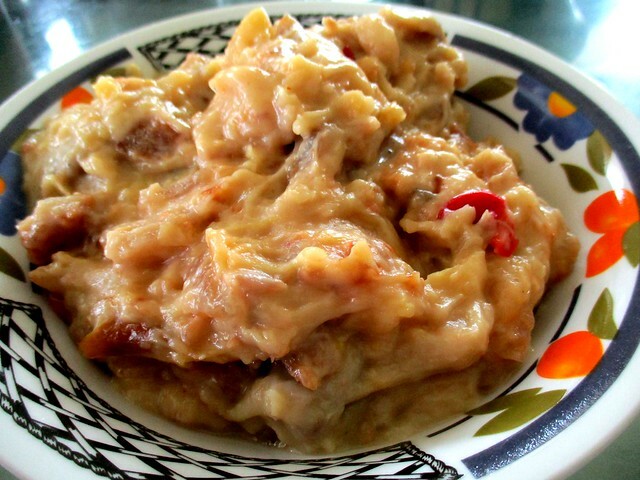 …which should not be confused with roti jala. 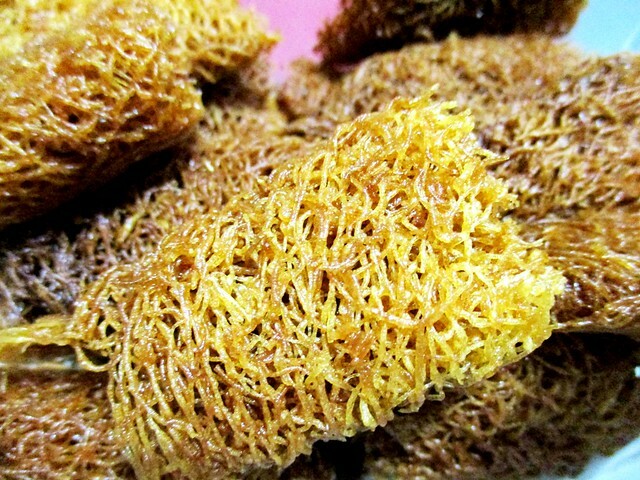 It is also called sarang semut (ants’ nest), not to be confused with kek sarang semut (bee hive cake). The ingredients are rice flour and gula apong (nipah palm sugar) so it is gluten-free and my girl can get to enjoy that. 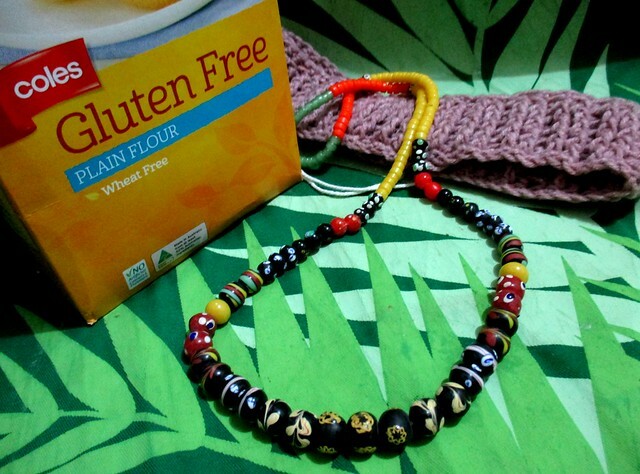 …very very nice ethnic Dayak beads, a headband that one of my cousins knitted herself and my girl loves it a lot, and also a box of gluten-free flour. 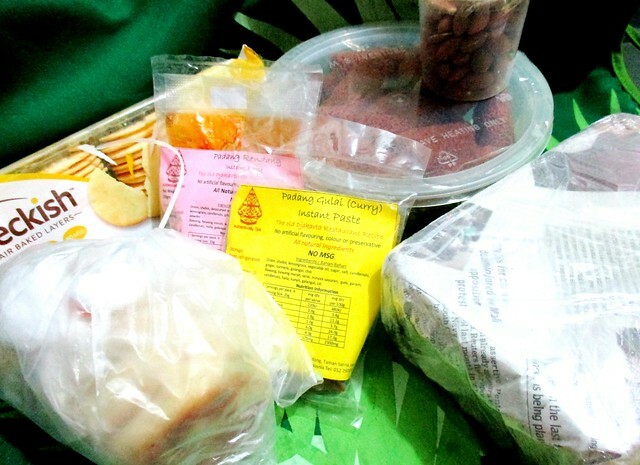 …all the way from Kuching. 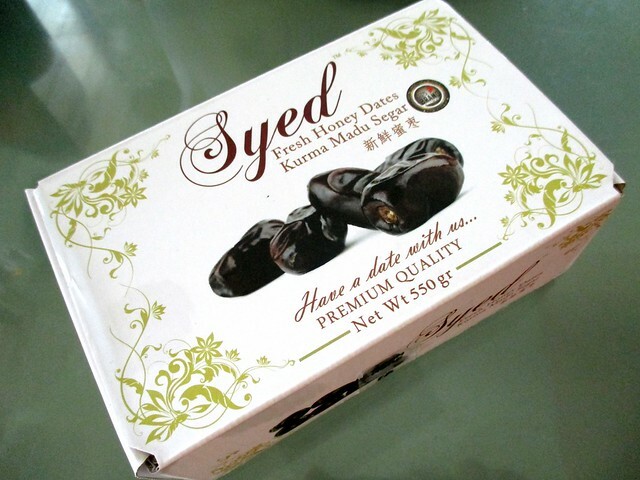 They dropped by that supermarket in town that has all the imported stuff from countries all over the world and they liked these, imported and packed in Singapore, more than the Penang-imported Yusof Taiyoob ones that we had for our dinner that night. Yes, they were nice but I thought they were a little too soft and a bit too sweet as well. …that one of my cousins cooked and she would like us to try. Of course it was very nice and of course, she was so very generous with the tempoyak – she always makes her own when the fruit is in season – she did send us some time and time again but to us, that is one precious and rare commodity so when my missus cooks the same dish, she would not use so much at a time and she adds serai (lemon grass) to hers as well. They had it here at this place that has since closed down too and theirs were pretty good as well but don’t count on a lot of tempoyak in theirs either. The usual practice when people give you things is to balas or in Hokkien, tak tor tui (give in return). Oh dear!!! I did not get them anything in return when they left town and flew home, shame on me…but they kept saying that they did not have much luggage space for much of anything so I refrained from buying them lots of stuff to take back.